Some of you love to do ceremony, which looks like clearing. Go ahead, but know that it's not necessary to clear, since you are there and your presence alone has done it. So instead, think of it as "patterning". And we say, “No you don't. Not anymore.” If a master walked into this room, would you stop and clear it? The answer is no. The master clears it! You understand? This is the lineage that is yours and that you worked for. Claim it. Go for it. 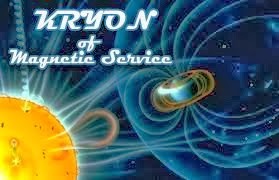 From Kryon Live Channel, "This Is Not Your Father's New Age"